Please view are below frequently asked questions below for help with your queries. My broadband doesn’t work. What steps can I take to restore the connection before calling customer support? This information is normally located on the back or underside of the router. You will need this information when you configure devices to use your router wirelessly. Please note, the wireless key is case sensitive and should be entered exactly as it appears on the router. •	Line length – Distance from your premises to the local BT exchange. •	Line quality – Quality can vary line to line, affecting the speed of data transfer. •	Interference – Street lighting, car navigation systems, TVs, central heating and other electrical devices, can interfere with the DSL connection causing intermittent connectivity and speed issues. •	Router – Faulty or older routers can cause slow speeds as they may not be able to maintain a stable or highest possible sync rate in accordance with the line statistics. •	Micro filter/internal wiring – Wiring between the phone socket and router, or wiring between the router and the PC/laptop can all cause slow speeds should they be faulty. By replacing each one by one can in most cases narrow the problem down or resolve it. •	Heavy utilisation – If the connection is being shared by many users, this can affect the individual user speeds due to the bandwidth being shared. How can I test my broadband speed? Please ensure you follow all the instructions on this page before clicking ‘yes’. After you have performed a speed test, if you require technical support, please call 0333 320 4020. My broadband is slow. What can I do to improve the speed? We’ve prepared a handy guide called ‘How to Get the Most from your Broadband’. Plus the devices which can improve coverage in the house, and wireless security. I chose managed install for fibre so an engineer is visiting my property. The master socket is not in the ideal place. Can this be changed? It is worth considering this if the current position is not very centrally located, as using this option to move the router to a better location will help to achieve a more consistent wireless performance in your home. Please ask the engineer for more information during their visit. There is no charge for this service and it is only available to customers choosing the managed install option. I’d like to change the date of my fibre installation appointment. Will there be any costs involved in changing this? When customers order fibre and select the managed install option, they are asked to provide three dates which would be convenient for an engineer to visit the property to install the fibre connection. From this, we will then advise of the exact date of the engineer visit. If a customer subsequently requests for the installation date to be changed, BT Openreach may charge us £11 to amend the appointment, and we will pass this charge on to the customer. We will then try and book one of the new dates with the BT Openreach engineers. Please note that appointment availability is limited based on engineer resource so in some cases we may not be able to book the appointment on a requested date. If this is the case, we will let you know which date we have managed to book, and there will be no charge for changing this date if it is not convenient for you. As soon as you become aware that you would like to change your installation date, please call us on 0333 320 4020 to give us as much notice as possible. I want to talk to someone about my service. Please call Customer Services on 0333 320 4020. I am moving house. Can I keep my number? You will be able to retain your number if the premises that you are moving to is in the same exchange area as your current location. If you are moving out of the exchange area then unfortunately this will not be possible. We will check your telephone line to see whether your number is retainable for you when we place the order and inform you either way whether you will be able to keep your telephone number. For more information, on what to do if you are moving house please click here. Can I upgrade to a faster broadband service? We will be happy to upgrade your service if faster services are available in your area. Please call Customer Services on 0333 320 4020 to see what is available and if there are any plans for new services in your area soon. I think I have a fault on my phone line. How can I prove that the fault isn't with my own equipment? Most sockets have now been upgraded to the NTE5 version that will have a horizontal split through the middle of the front plastic cover, with two screws on the bottom. Remove all equipment from the socket before removing the screws from the front cover using a screwdriver. Once the screws are removed, carefully pull the front plastic cover away from the rest of the socket. The master test socket should now be visible on the right-hand side. Plug in the phone to see if the fault remains. If the fault is still present when plugging directly into the test socket, this indicates the fault is likely to be at network level. BEWARE: Do not remove the screws if there is no horizontal line dividing the front plastic cover. This older style socket does not have the test socket. Plug the phone directly into the socket. Will I be charged for an engineer visit when I report a line fault? If no fault is found on the Openreach network, or the fault is with your own equipment or extensions, an engineer will visit your property. Possible charges can be found in our Additional Charges information sheet. Can I have my calls diverted to a mobile if I am experiencing a fault? Yes, but you will be charged for the diverted portion of any call at your standard rate. I have a Fleur landline and mobile SIM, is there a fair usage policy? We do have a fair usage policy, which is outlined below. Landline calls: maximum 2,000 minutes per month to local and national numbers beginning with 01, 02 and 03. If this limit is exceeded, there will be a charge for these calls at the standard rate for non-inclusive periods. Mobile: A breakdown of the maximum allowance for the Fleur Mobile fair usage policy is shown below. Please see the reverse of your router if you are unsure of the model number. How can I download Fleur Security Suite? Please visit nicc.fleurtelecom.co.uk and follow the instructions in this document. I would like to sign up to Fleur Security Suite, how much does it cost? If you have a 12 month broadband contract with Fleur, it will be included in the cost. With 30 day broadband contracts, Fleur Security Suite costs £2 per month. To order, please call: 0333 320 4020. On which devices can I use Fleur Security Suite? Fleur Security Suite can be used on PCs running Windows 7, 8, 8.1 and 10. It is not compatible with Apple and Android devices, tablets and mobiles. Please be aware that Fleur Security Suite cannot be downloaded on to devices running a product older than Windows 7. Older products such as Windows XP are no longer supported by Microsoft, which is why other applications such as Fleur Security Suite also cannot support them. My browser displays a message saying I have been restricted from visiting a page, how can I change this? Powered by TalkTalk, customers who had TalkTalk’s HomeSafe product were migrated to Fleur Shield when they transferred to Fleur. The product is not available to other Fleur users. Fleur Security Suite is available for customers who upgraded their broadband package and have a new contract. To discuss in more detail, please call: 0333 320 4020. I thought the Telephone Preference Service (TPS) was a free service but someone contacted me asking for my card details. Do I have to pay? The TPS is a free service which allows UK consumers to opt out of receiving nuisance telemarketing phone calls. I think I’ve been scammed, what should I do? •	Contact Action Fraud to report details of the incident on 0300 123 2040 or online at www.actionfraud.police.uk. I was told to call a premium rate number by a scammer and received a bill with a high charge for this call, can I get a refund? If you’ve been duped into calling or sending a text message to a premium rate number, you can complain to Phonepay Plus. This organisation polices companies that use premium rate numbers; it can fine companies and may be able to aid you with getting a refund (see http://www.phonepayplus.org.uk/ for more information). What do you recommend I do in order to browse the internet safely? •	Use virus and firewall protection software and run full-computer virus scans on a regular basis. •	Never use the same password more than once, and use passwords with capital letters and special characters. •	Ensure all software and programs are up to date. •	Only enter your personal details on secure websites which start with https:// and have a padlock of key symbol on the webpage. •	Check privacy settings on your social media accounts so you only share information with a restricted number of people. •	Always log out of accounts and your computer once you’ve finished using them. •	Ensure you are using one of the latest operating systems. The most vulnerable computers are those running Windows XP as Microsoft has stopped providing XP support. •	Remain cautious at all times when browsing the internet and opening emails. If you don’t know who the email is from and are not expecting it, be cautious and don’t open it. You should be especially careful with any embedded links or attachments in such emails. A third party claiming to be from BT Openreach has requested remote access to my computer. Should I grant them access? We recommend never letting a third party connect to your computer remotely. Using software sharing applications such as TeamViewer, Windows Remote Desktop, Join.Me and WebEx, scammers can gain access to all areas of your computer, and potentially online banking details, if you grant them access. None of these are themselves malicious pieces of software, but they can be used by scammers for fraudulent activity. When a BT Openreach engineer visits your property, they will conduct tests using their own laptop and the router. They should never request to use any customer/computer equipment. A known scam has been reported in the news where scammers call customers who have recently been visited by a BT Openreach engineer to fix a fault. As they can often appear to provide details about the visit, and will talk about needing further tests or giving refunds/credits for loss of service, customers can believe this call is from a credible source and grant them access to their computer. At Fleur, we do not believe in passing customer information to third parties without permission and we do not have any authorised dealers. We take all necessary steps to ensure our systems are secure. If you are contacted by a third party claiming to be linked to Fleur, or someone claiming to be a BT Openreach engineer, please be vigilant and call us on 0333 320 4020. We also recommend installing Fleur Security Suite, or other third party virus protection software. Our Security Suite is for Windows-based devices and includes Symantec Endpoint Protection against viruses. It comes free with all 12 month Fleur broadband contracts and costs just £2/month with 30 day contracts. I have received a request to remotely access my PC via a program called Teamviewer, what should I do? •	Lock your computer and demand a ransom to allow you to regain access only when the ransom is paid. Recently, Teamviewer has updated its software to provide the splash screen shown below if you receive a remote access request from an Indian IP address. The aim of this is to try to reduce fraudulent activity. It is recommended that you select ‘DENY ACCESS’, to block any further interaction with the source of the request. Please be sure that you know the person/source requesting access before selecting the ‘Allow Remote Control’ option. Fleur Telecom, TalkTalk and BT will NEVER request remote access to your device. Please note, Teamviewer in itself isn’t a malicious piece of software, but it can be used by scammers for fraudulent activity. I am experiencing problems accessing my emails, what should I do? If you use a mail client such as Outlook Express and you transferred from TalkTalk to Fleur, your login details should remain the same. If you have signed up to a new contract with Fleur, and received a new router, you will need to change your outgoing SMTP server settings to: smtp.fleurtelecom.co.uk. If you need advice on how to do this, please call 0333 320 4020. Can I have a Fleur email address? We believe a person’s email address should be independent from their internet service provider. As such, we do not provide an email address service and recommend any customers requiring a free email account look at signing up to either Windows Live Mail or Google Mail. I have received a notification from TalkTalk that my email account will be disabled. What should I do? TalkTalk is moving customers away from a legacy system to the new strategic TalkTalk email platform. They are communicating this to customers using pop-up messages when they go to access their mail. The pop-up informs them that TalkTalk is planning to update their email platform, and it will provide them with a new look and feel. Customers who are migrated will be able to continue to use their mail during this period. 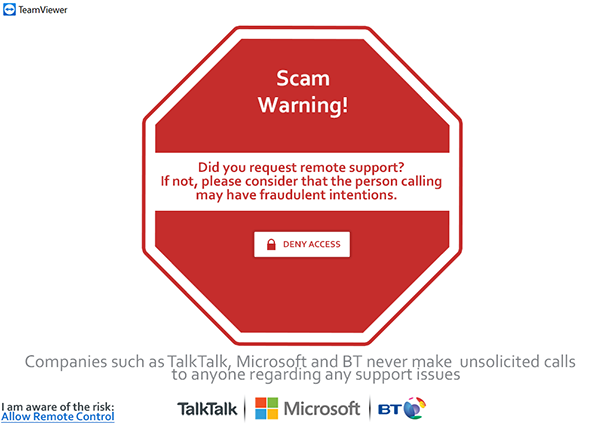 TalkTalk used software to indicate which email accounts were inactive for a period of one year, however, the process did not go as planned, and so some customers who do actively use their account received a notification saying that they will lose their email account, when this is not correct. •	Customers who use their email accounts: the accounts will automatically remain active because customers have logged in, so no further update is required. •	Customers who have not used their email account in one year: TalkTalk has given these customers 30 days’ notice via email that they are disabling their mailbox due to inactivity as per their terms and conditions. I have received a notification from TalkTalk that my mailbox is too big to migrate. What does this mean? TalkTalk has given customers 30 days’ notice via email that they will be moving customers away from a legacy system to the new strategic TalkTalk email platform which will have a new look and feel. TalkTalk will reduce their mailbox size to 9GB before migrating it, as some customers have mailboxes which are currently too large to migrate. These customers are advised to delete any unwanted emails and save any that they do want to keep onto their computer. The link to TalkTalk’s online help page explaining how to do this is: https://help2.talktalk.co.uk/how-reduce-size-your-mailbox. I’m trying to send emails to multiple recipients but keep receiving an error message. What should I do? This limit applies to sending emails by Webmail and Mail Client. Therefore, you may need to split the email recipients into smaller groups and send them over a greater period of time. If you are sending bulk emails because you are operating a business, please be advised that Fleur Telecom runs a residential consumer network which should not be used to run a business. A proper business broadband package would include guarantees and service-level agreements, which is something Fleur does not offer because we are a consumer supplier. I have a Virgin Media email address but I’ve forgotten my password. How do I re-set it? 2. Click ‘Email’ on the top right-hand side. 4. Enter your Virgin Media username and click ‘Continue’. 5. You will be asked to enter your security answer and date of birth. Then click ‘Continue’. If you are not able to answer the security question, you should select ‘Forgot the answer to your security question’ and answer the alternative questions instead. 6. You will be prompted to enter a new password and confirm it. Passwords must be 8-10 characters long and made of letters and numbers only, with no spaces. The first character must be a letter. Then press ‘Continue’. 7. A confirmation screen will be displayed, stating the password has been re-set. Click ‘Continue’ to finish. Which email addresses will be closed by Virgin Media on 30th June 2016? We have been notifying customers that unfortunately, Virgin Media will be closing some email accounts on 30th June 2016. When Virgin Media customers moved to TalkTalk, TalkTalk arranged for Virgin Media to continue managing these email accounts for 12 months, even though these customers were no longer customers of Virgin Media. That time is now coming to an end. If your email address has one of the following endings, you will need to take action as soon as possible. Once your email account is closed, you will no longer have access to your emails, contacts and calendar. If you use your Virgin Media email address with other service providers, for example, to log into their websites, receive newsletters, pay bills, or recover your password, you will need to ensure you change the email address they have for you. Virgin Media is closing my email account. How do I save my important information? •	You can forward your old emails to a different email address that you have before 30th June 2016. •	You can save your emails on your computer, using an email client such as Outlook, Thunderbird, Apple Mail or Windows 10 Mail. More information on setting up an email client for your Virgin Media email account can be found by visiting help2.talktalk.co.uk/virginsetup. I receive e-bills from Fleur to my Virgin Media email address. How do I change the email address you have on MyAccount? •	Please visit fleurtelecom.co.uk/myaccount where you should sign in, click ‘Self-Service’ and then ‘Manage Email’. •	Please visit fleurtelecom.co.uk/myaccount where you should sign in, click ‘Self-Service’ and then ‘Account Details’. •	Go down to the Billing section and press ‘Change Email Address’. If you receive e-bills to your Virgin Media email address or pay your bills online by signing into your MyAccount using your Virgin Media email address, you will need to update your email address in MyAccount so we are able to send you your bills. If you don’t do this before 30th June 2016, you will not receive your e-bills from Fleur and you will be automatically switched to paper billing at a cost of £1.90 per month. Can I retain my existing number if I sign up to Fleur mobile? Yes, you are able to keep your existing number. To do this, you should telephone your existing mobile SIM card provider and ask for a PAC. Then call 0333 320 4020 with this PAC and your number will be transferred. PACs are valid for 30 days upon receipt. How can I see how many minutes I’ve used so far this month on my Fleur mobile? We recommend following the steps below. If you need help, please call us on 0333 320 4020. 1. Sign in to your Fleur MyAccount by visiting fleurtelecom.co.uk. 2. Select ‘My Bill’ then ‘Analyse’. 3. Leave the option in the dropdown menu as ‘Unbilled’ and select CSV to open the usage in Excel. 4. When the file has opened, go to the end of the data column I, Call Duration, and select AutoSum. Press enter to automatically show your total calls for this month. 5. Dividing this number by 60 will show the amount used so far. 6. To calculate your remaining allowance, minus this figure from the relevant row in the fair usage policy table below. If you can’t find what you are looking for call us on 0333 320 4020 or email us at enquiries@fleurtelecom.co.uk.